Do we get pick up from hotels in Hanoi? We arrange shuttle bus (16 seat minibus) to pick up visitor from hotels in Hanoi Old Quarter. Pick up time is 7:30 AM – 08:00 AM every morning. You are recommended to have breakfast and be ready at hotel’s lobby. Pick up request at Hanoi Airport is not available, it can be handled by private car only, and shuttle bus could not pick up or drop off you there. Pick up request at Hanoi train station (Sapa arrival) is not available, as you arrive early at 5:00 AM from Sapa while our shuttle bus- pick up time at 7:30 AM. You can choose to get back to your hotel in Hanoi Old Quarter or contact us to arrange pickup point where you can relax, having breakfast before shuttle bus picks up. 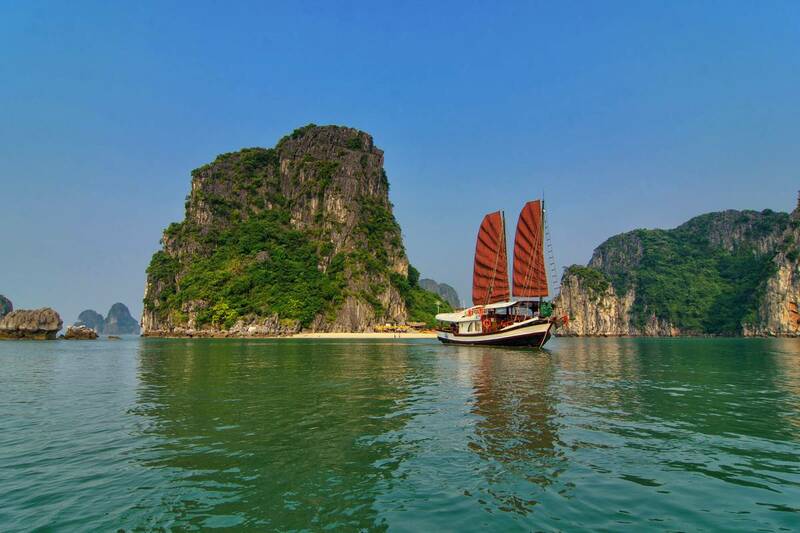 Do we have kayak in Ha Long Bay with your boats? Kayaking is a part of itinerary included in price. You will have longer time for kayaking in 3 day 2 night program. ‘For a green Ha Long Bay’ project? This project is sponsored by Indochina Junk and other travel company aim to support local people to protect environment and raise their awareness towards sustainable tourism. The main activities include: garbage collecting, mangrove forest planting, Styrofoam replacing… in Cong Dam, Vung Vieng fishing villages and surrounded area. What should I bring on board? You are recommended to bring: sun glasses, sun block, wide brim hat, insect repellents, swimming suites (in summer) or warm clothes (in winter) and original passport. How many luggage should I bring on board? You should bring with you the necessary ones as there is not much space on shuttle bus. Because we will drop you at the same hotel after Halong Bay trip so you can leave your big suitcase at the hotel. If you need to go directly to Airport or train station you can bring your entire luggage. How can I make payment for the trip? When you book a trip with us, there would be a deposit required (30% – 50% of total price). You can choose to do deposit via direct bank transfer, Onepay (Credit card online payment) or Authorization letter with relevant bank fee request. The most popular one is OnePay with detail Guideline and Term, Conditions. The balance of the trip can be paid when you arrive in Vietnam by cash or credit card. You are recommended to visit our sales office in Hanoi for payment and other details. Can I order meals on boat as vegetarian or special diet? We are willing to prepare alternative menu for your food requirement. Depending on your food request, our cook will prepare the most suitable one. Please, inform us in detail your special food request latest in the morning of the cruise date. Where is Bai Tu Long Bay? Located in Gulf of Tonkin, Bai Tu Long Bay includes a wide eastern part of Halong Bay, Van Don and Cam Pha district. There is also Bai Tu Long Bay National park with biological diversity. Occupying three-quarters of the Ha Long Bay area towards eastern part, Bai Tu Long Bay is one of the three triangular peaks of the World Natural Heritage. 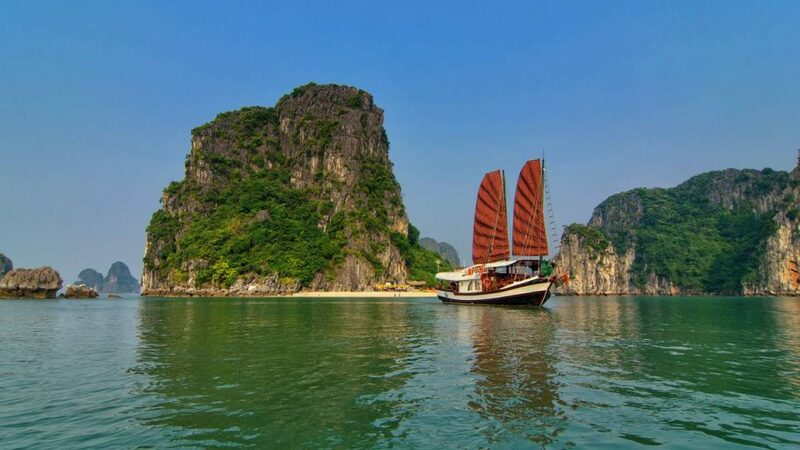 Indochina Junk is proud to be the first and only company to have luxury boats that take tourists to Bai Tu Long Bay area. All the boats are maintained every six months and daily technical supervision. Our staffs are well trained to deal with emergency and safety control. 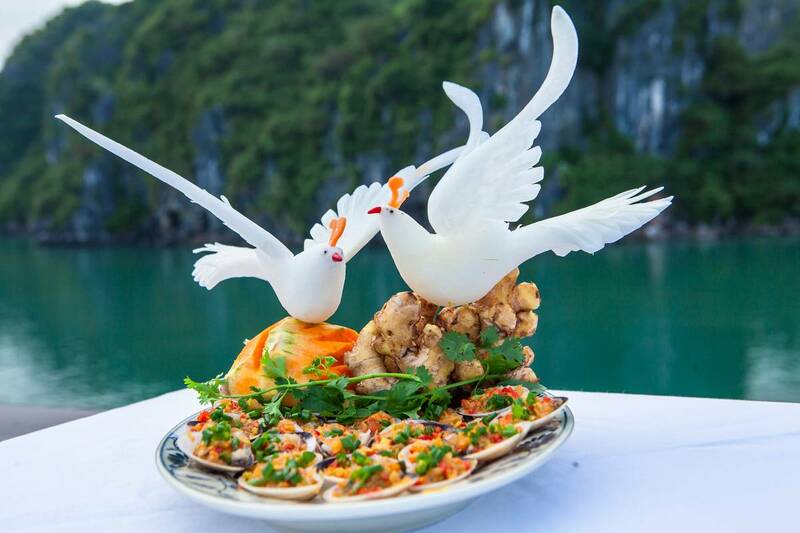 When is the best time to visit Ha Long Bay? Summer is good time to Ha Long Bay, you have time to enjoy thousands of limestone islands in the Bay, swimming, kayaking and visiting fishing village under sunlight. However, summer is not the high season in Ha Long Bay and it is hot too. 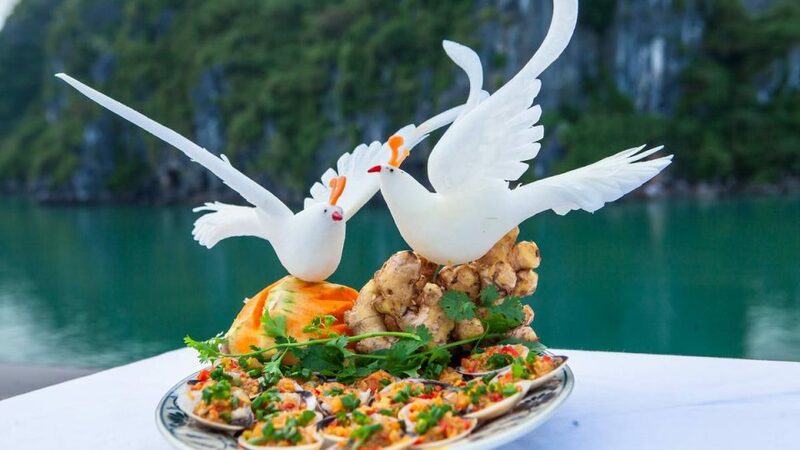 Many tourists visit Ha Long bay during fall and spring in colder weather and have great time there. Do your boats sail or run by motors in the Bay? Most of our boats run by motors in the Bay due to carrying many passengers and cruising for long distance. The Princess and Lagoon Explorer Junk can truly sail under weather allowance and time control. How far is that from Hanoi to Ha Long Bay? The distance between Hanoi and Ha Long Bay is 180km that will take you 3.5 – 4.0 hours. Our shuttle bus will pick you up at hotels in Hanoi Old Quarter from 7:30 – 8:00 AM. During the transfer, you will enjoy countryside landscape with rice fields, water buffalos; villages… Our bus will arrange a stopover on the halfway around 20 – 30 minutes.